So began a tableside lecture that lasted long enough for me to begin to question whether actually being fed was part of the concept. I zoned out halfway through, assuming that I’d be able to negotiate the rest of the evening without this primer. Our server soldiered on through her script. Several times she mentioned the phrase “accept the meat”. 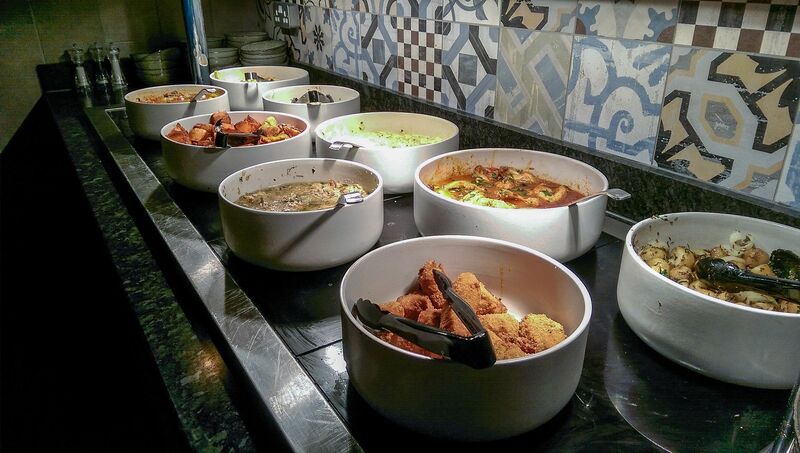 Accepting the meat is the whole point of a Churrascaria. This Brazilian tradition has been around in Britain for a few years so I’m surprised it’s taken so long to reach the one city that really understands all-you-can-eat. Or, in this case, all-you-can-meat. A descendant of the fireside roasts of the Pampas, the modern form of churrasco involves a massive charcoal rotisserie on which various cuts are grilled on skewers, before being brought to your table and sliced directly onto your plate by ‘passadors’, or carvers. Diners are given red and green cards – green for ‘More, please!’ and red for ‘I surrender!’ It’s the ultimate man-versus-food challenge. Mrs Diner and I put out our green cards and waited for the action. 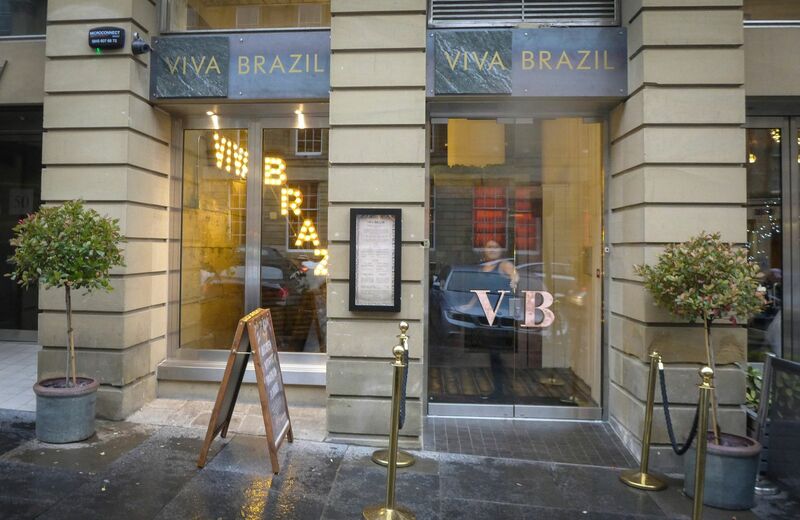 The Viva Brazil chain is already in Glasgow, Cardiff and Liverpool (where the grill accidentally set fire to the restaurant last month). 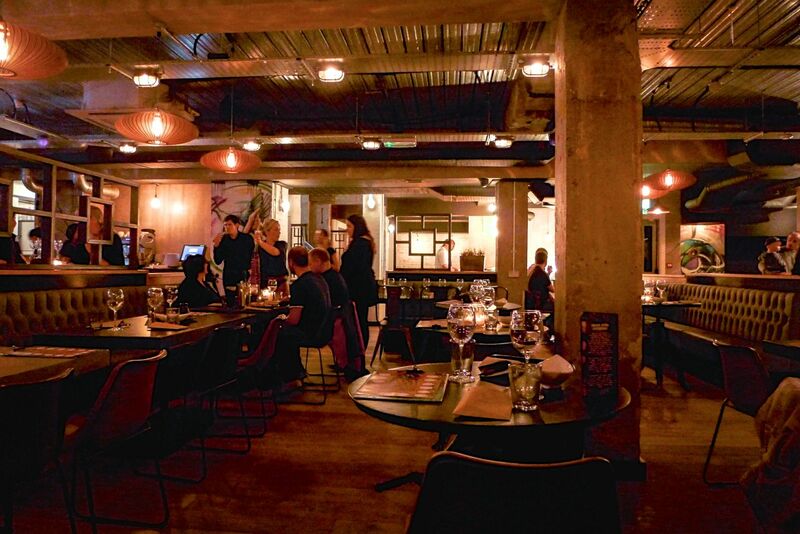 Now it has popped up in what used to be La Tasca in Newcastle’s Grey Street. 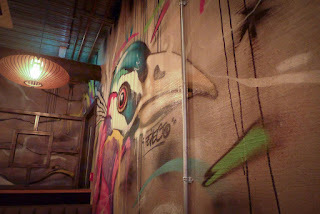 A colourful makeover, with large graffiti artworks, low lighting, tables close together and loud up-tempo music, has created an informal, buzzy atmosphere. It's also quite dark - sorry about the pictures. 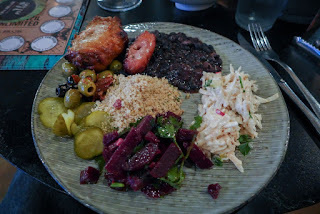 To be honest, I didn’t really expect to enjoy this place: Grey Street has enough chains already and this is a Disneyfication of a real Brazilian restaurant. But when the first of 15 different skewers arrives at the table, I’m surprised. It’s rather good. Beef comes in a variety of cuts. Flank is dense, but full of flavour. Slow-cooked ribs are juicy and deeply smoky. Slices of the more expensive rump cap are a blushing shade of crimson, and quite delicious. The meat is of decent quality, but it’s the cooking over coals that has done the heavy lifting here. 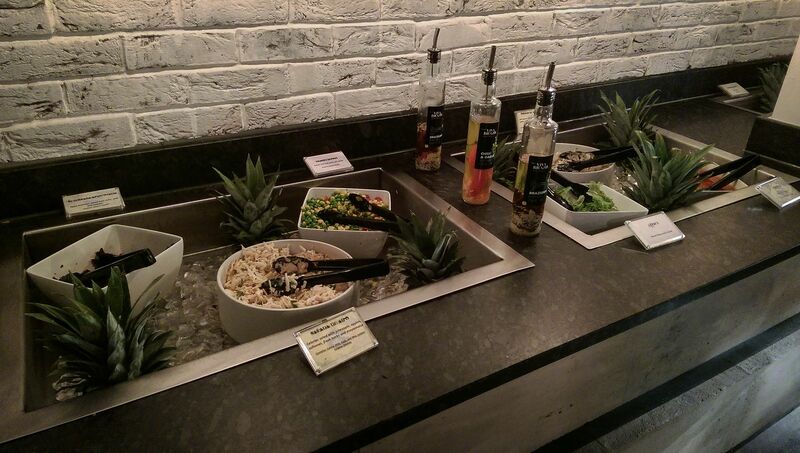 We hit the all-you-can-handle salad and sides ‘island’ and find several interesting items. There is a passable Feijoada, the traditional rich stew of long simmered black beans and pork. Other stews look tempting too. A beetroot salad tastes earthy and fresh while a sort of remoulade sports nicely crunchy celeriac. 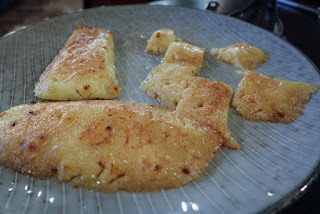 Mrs Diner sets about a mash that fairly reeks of garlic but has a texture too close to wallpaper paste for my liking. Re-seated, the meat onslaught continues. 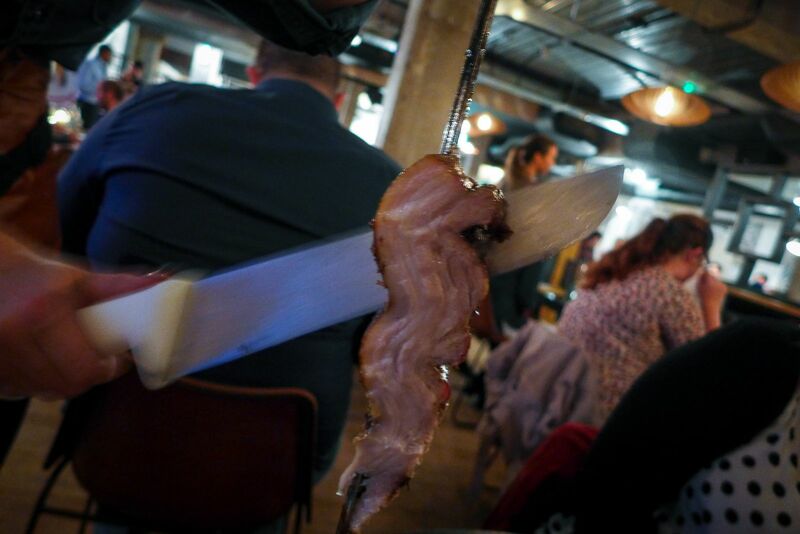 Smoked gammon is delicious and impressively moist. Less good is a rather flabby leg of lamb, while pork, crusted in parmesan, is overwhelmingly salty. It keeps on coming, but I won’t give up until I’ve tried the damn lot, for am I not a man? Best of the rest are chicken hearts, chewy little flavour-bombs. That a chain restaurant should serve up offal that isn’t liver pâté seals the deal; I am, despite myself, won over. The wine list is intriguing too, focusing on Spanish and Portuguese speaking regions. Albariño is normally associated with North West Spain, but a Uruguayan version is similarly peachy and delicious. A Chilean Carmenere has the darkness and length needed to stand up to smoky beef, while Mrs Diner works through at least a couple of Malbecs, one of which, from the Vista Flores region, is particularly silky and poised. Service is, initially at least, a haphazard affair. 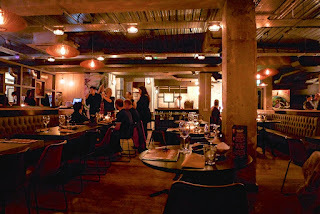 By the time we receive some food we have spoken to four or five members of staff and I’m feeling less like I’m out for dinner and more like I’m speed dating, but eventually it all settles down. Each of the meat-bearers has a stamp on which they mark what you’ve sampled. It’s hard to maintain a flow of conversation when a massive fellow armed to the teeth with chicken legs is peering over your shoulder to see if he’s done you yet, but the system seems to work. The last skewer to arrive, in lieu of an actual dessert, is roasted pineapple with cinnamon, a pleasantly simple way to draw things to a close. I imagine that Viva Brazil will do well in Newcastle. After all, who doesn’t like a good barbecue? We paid £25 a head for the full 15-skewer mega-meat rodízio experience. It’s cheaper at lunchtime, and you can also have a more limited choice of meats for less. There are seafood and vegetarian options, but I can’t imagine why anyone other than committed carnivores would come here. As it turns out, despite the menu waffle and the speeches, the concept here isn’t that much different from any other restaurant. They cook food and then they bring it to you. However, unlike some of the other chains that call Grey Street home, Viva Brazil does it all pretty well. Which is just fine by me.